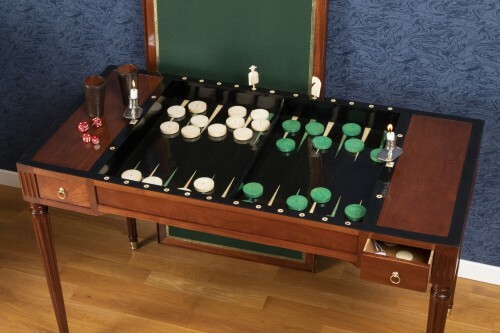 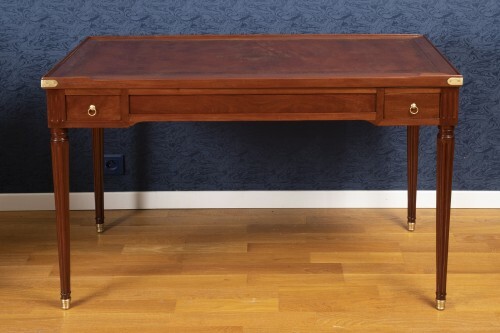 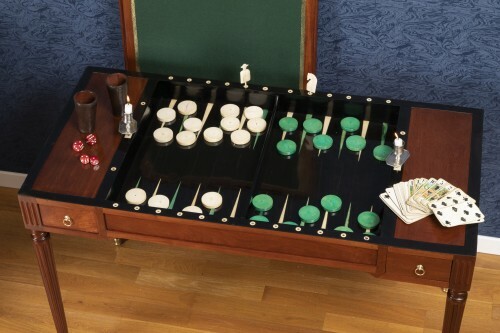 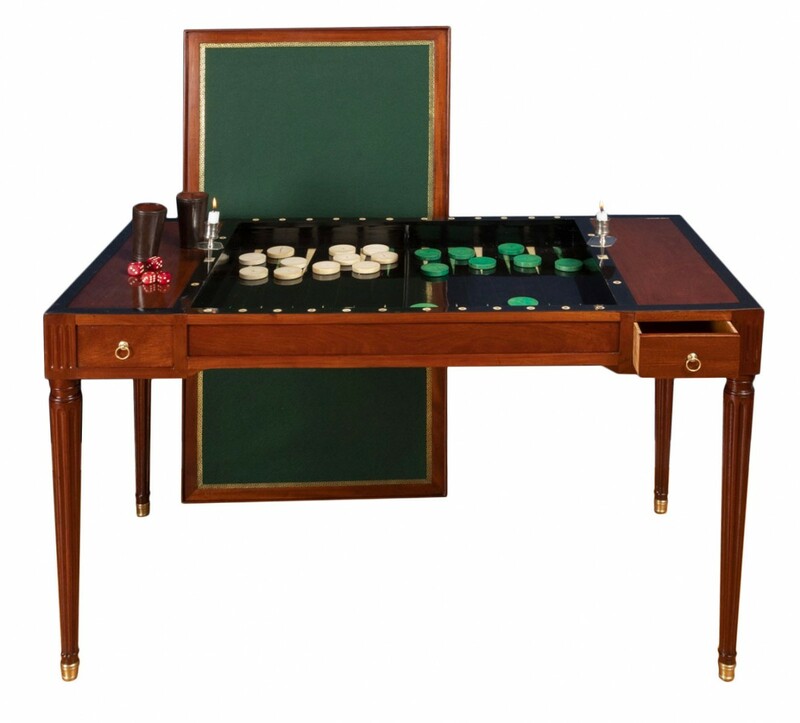 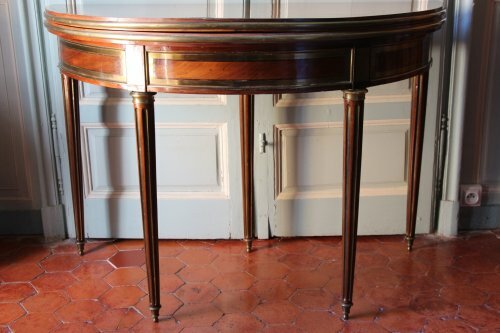 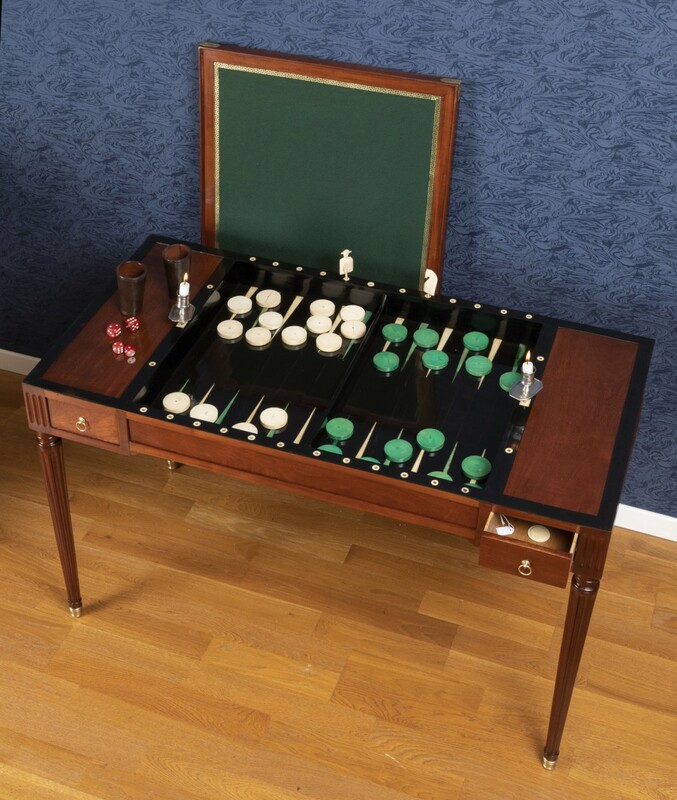 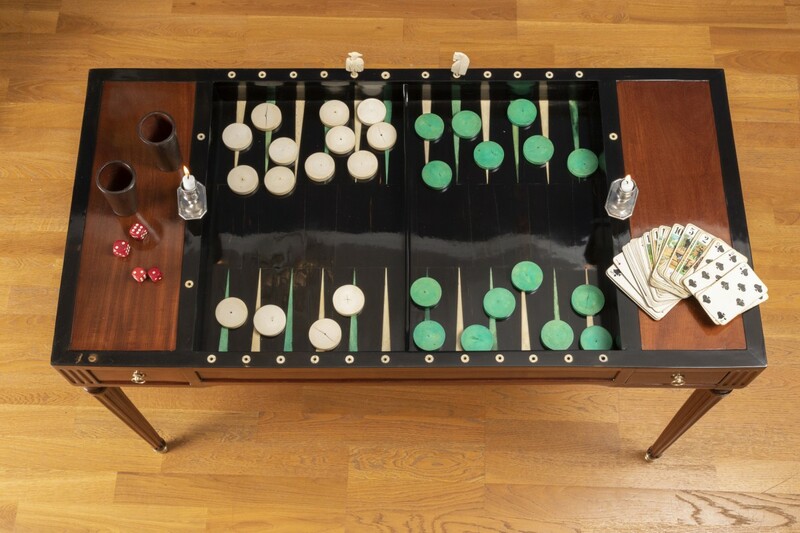 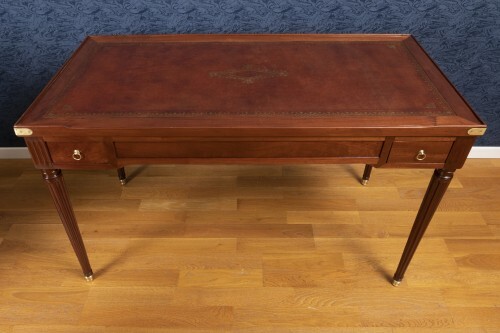 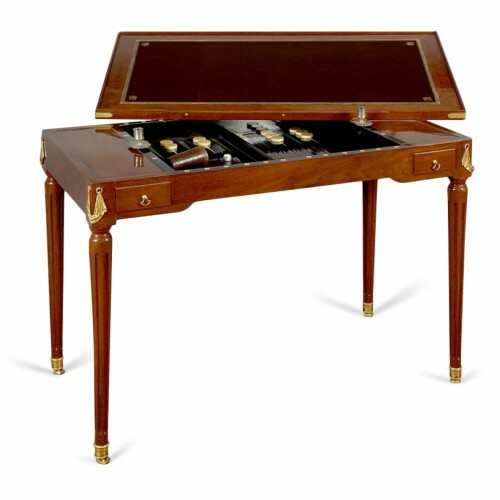 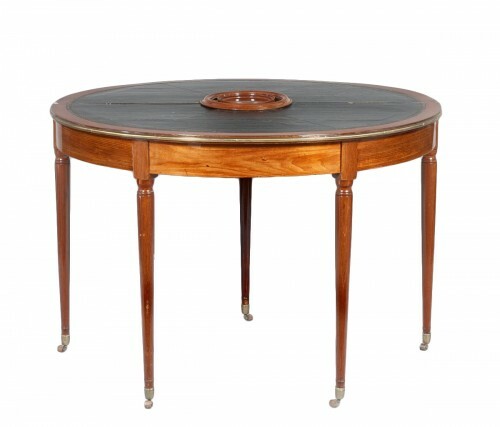 A mahogany, ebony and ivory tric-trac game table on the tapered and fluted legs finishing with bronze feet. 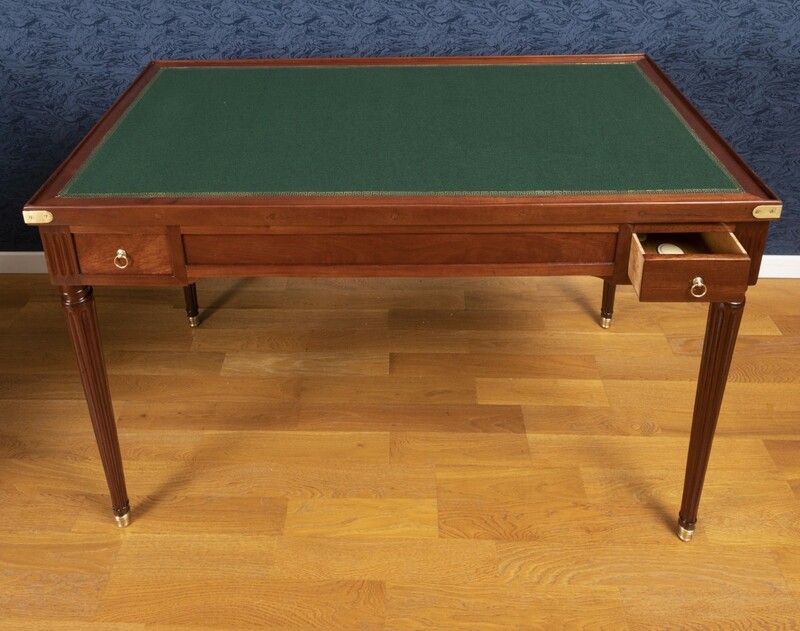 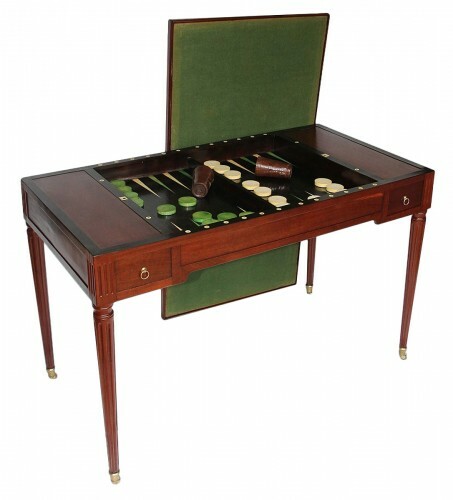 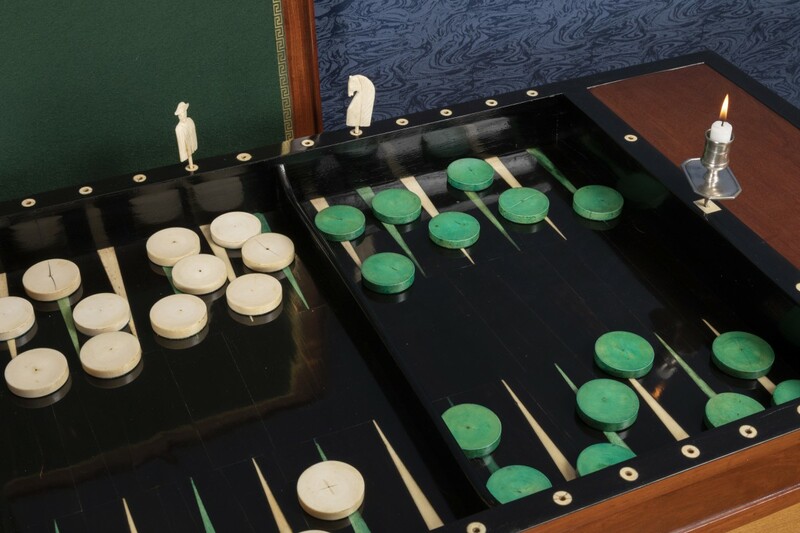 The table opens with two drawers, each on opposite side.The removable tray is wrapped with leather on one side and with green felt on the second one. 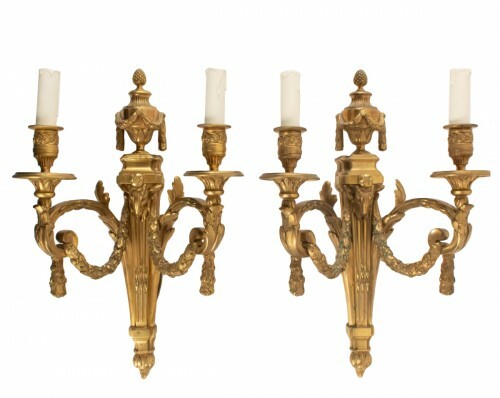 The table has a full set of 30 ivory chips, two leather cups, a set of game of dice, two candle holders.